15: Who were the First Persons to Embrace Islam? The last chapter of the life of the Prophet of Islam, when he was confined to bed, is one of the most delicate and subtle chapters of the history of Islam. In those days the Muslims were passing through very tragic moments. Open disobedience on the part of some companions and their refusal to join the army of Usamah was an evidence of a series of underground activities and the earnest determination of the persons concerned that after the demise of the Prophet they would take possession of the governmental and political affairs of Islam, and would push back the person, who had been formally appointed on the day of Ghadir as the successor to the Prophet. The Prophet also knew to some extent their intentions and, in order to neutralize their activities, insisted that all the senior companions should join the army of Usamah and should leave Madina as early as possible to fight against the Romans. However, in order to put their own plans into operation, the political jugglers excused themselves from joining Usamah’s army on various pretexts and even prevented the army from marching off, so much so that the Prophet passed away but the army of Islam did not depart from Jurf (camping-place at Madina) and returned to Madina after sixteen days. Their detention was due to the death of the Prophet. Thus the desire of the Prophet that on the day of his death Madina should be free from political mischief-makers, who might indulge in activities against his immediate successor, was not fulfilled. They did not only fail to leave Madina but endeavored to forestall every action, which could possibly confirm the position of Ali as the uninterrupted successor of the Prophet and to prevent the Prophet, by different means, from talking on this subject. This sentence shows the Prophet’s grave anxiety about the future and about the fate of Islam after his own death. What did he mean by the mischief which had been sparked off? Could it be anything other than the mischief and dispersion which was created after the death of the Prophet and its flames have not yet extinguished but continue to flare up? The Prophet was aware of the activities which were in the offing outside his house, to take possession of the caliphate. In order to check the deflection of the caliphate from its real pivot and the appearance of differences and disputes he decided to affirm the Caliphate of Ali, the Commander of the Faithful, and the position of Ahl al-Bayt in writing so that the document in question might serve as a clear-cut evidence on the subject of caliphate. “Sickness has overpowered the Prophet. The Qur’an is with you. The Divine Book is sufficient for us”. “The orders of the Prophet must be obeyed. Go and bring him pen and paper so that whatever he has in mind should be recorded”. “Get up and leave the house”. (Be off from here). This historical event has been quoted by a number of Sunni and Shi’ah traditionalists and historians, and from the viewpoint of a critical study of tradition they consider it as falling under the category of the authentic and correct reports. It is an admitted fact that whosoever utters such an indecent and repulsive sentence cannot be forgiven, because, as clearly mentioned by the Qur’an the Prophet was immune from every kind of mistake and whatever he said was revealed to him. Although some fanatics have apparently coined excuses for the Caliph having opposed the demand of the Prophet730 they have condemned him from the standpoint of logic, and have considered his remark (The Book of Allah is sufficient for us) to be baseless. All of them have admitted it very clearly that the Sunnah of the Prophet is the second pillar of Islam and the Book of Allah cannot at all relieve the Muslim Ummah from the need of the Prophet’s Sunnah. As the words preceding the sentence under consideration relate to the animals and the birds and the words succeeding it relate to the Day of Resurrection it can be said definitely that in this verse the meaning of the word book, from which nothing has been left out, is the book of creation. In this verse it has not been said: “You may read to mankind”. The words used are: “You may explain to mankind”. Hence even if the Book of Allah be sufficient for mankind it stands in great need of explanation by the Prophet. How can it be said that in spite of the sentiments expressed by Ibn Abbas and the insistence made by the Prophet himself, the Qur’an has enabled the Muslim Ummah to dispense with the will in question. And as the Prophet did not succeed in dictating such a will, can it be guessed by means of any definite indications as to what he intended to record in his will? What did the Will aim at? One of the best method of explaining the verses of the Qur’an, which even now commands the attention and favor of the research scholars and the ulema of the present times, is that the brevity and the ambiguity of a verse which may have been revealed on a subject, may be removed by means of another verse on the same subject, which may, from the point of view of expression, be more clear than the former one. In the terminology of exegesis, it is called explaining one verse with the help of another. This method is not peculiar to the explanation of the verses of the Holy Qur’an; it applies to the Islamic traditions as well and the ambiguity of one hadith can be removed with the help of another tradition, because our great leaders have given emphatic and repeated directions on delicate and appreciable matters, the expression of which with regard to the aim is not identical and at the same level. Sometimes the aim has been expressed clearly and at another time it has been considered advisable only to allude to it. As has been stated above the Prophet, while confined to bed, asked his companions to bring him pen and paper so that he might dictate a will and the same should be recorded. He also told them that the will would ensure their not going astray at anytime. (As is clear, the reason mentioned by the Prophet for writing the will was that people might not go astray). Later, on account of differences between those present, the Prophet abandoned the idea of writing the will. “I am writing this document to ensure that you do not go astray after me”. “I am leaving two weighty (valuable) things amongst you. So long as you follow both of them you will not go astray. These two valuable things consist of the Book of Allah (the Qur’an) and my progeny and Ahl al-Bayt”. 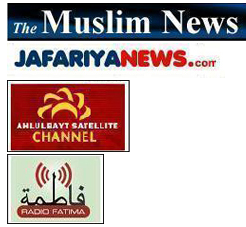 Can it not be concluded from the wording of these two traditions, and the similarity present in them, that the aim of the Prophet in asking for pen and paper was to record the contents of the Hadith Thaqalayn in a more clear manner and to confirm the rulership and direct caliphate of his successor, which had been announced verbally on the 18th of Zil Haj when the Iraqi, the Egyptian and the Hijazi pilgrims were parting company (at Ghadir Khum). Furthermore, the strong opposition of one, who immediately after the demise of the Prophet constituted a consultative body in Saqifah bani Sa’idah for the selection of a caliph and made his old friend a candidate for it in a special manner and the latter’s nominating him as a caliph in violation of all principles, perhaps in recompense for his help, shows that there were indications in the gathering and into the speech of the Prophet that he wanted to dictate something about the caliphate and the rulership of the Muslims. He, therefore, strongly opposed the bringing of pen and paper, for otherwise there was no reason why he persisted so much that the pen and the paper should not be brought. Why did the Prophet not persist in writing the Will? Why did the Prophet not exercise his power to write the will when, in spite of the opposition by some persons, he could very well call his secretary and dictate the same to him? “After all that has been said, do you want to bring pen and paper? l recommend only that you should behave well with my progeny”. “I am leaving two valuable things amongst you”. “At the time of return from the Battle of Ta’if, when you were riding a camel, you raised your scourge to hit your animal, but by chance it struck my belly. I now want to take revenge”. 724. Seerahi Ibn Hisham, vol. II, p. 654 and Tabaqat-i Ibn Sa’d, vol. 2, p. 216. 725. Evidently what was meant was that the Prophet might dictate the deed and one of his secretaries might write it out, because the Prophet had never held a pen in his hand or written anything. 726. Sahih Bukhari, Kitabul ‘Ilm, vol. I, page 22 and vol. II, page 14; Sahih Muslim, vol. II, page 14; Musnad Ahmad, vol. I, page 325 and Tabaqat-i Kubra, vol. II, page 244. 727. Sharh-i Nahjul Balaghah, Ibn Abil Hadid, vol. II, page 20. 728. Sahih Muslim, vol. I, page 14 and Musnad Ahmad, vol. I, page 355. 729. Kanz al-Ummal, vol. III, page 138 and Tabaqat, vol. II, page 244. 730. The late Allamah Mujahid Sharfuddin has collected all these excuses his book entitled al-Muraji’at and refuted them in a decent manner. 731. Hayat-i Muhammad, page 475. 732. Musnad Ahmad, vol. I, page 355. 733. Biharul Anwar, vol. XXll, page 469, quoted from al-lrshad by Shaykh Mufid and A’lamul Wara’ by Tabrsi. 734. Biharul Anwar, vol. XXII, page 476, quoted from Majalis by Mufid. 735. al-Sawaiq, Chapter 9 of Part 2, page 57 and Kashful Ghummah, p. 43. 736. The Hadith Thaqalayn is one of those traditions which are unanimously accepted by the Sunni and the Shi’ah traditionalists, and it has been narrated by the companions of the Prophet in sixty different ways. Ibn Hajar Askalani writes: “The Prophet invited the attention of the people to the correlation between the Book and his progeny on different occasions like the day of Arafah, the day of Ghadir, on return from Ta’if, and even while he was confined to bed. (al-Sawaiq al-Muhriqah, page 136). The late Mir Hamid Husayn of India has allocated a part of his book to the narration of authorities for the Hadith Thaqalayn. It has been published recently in Isfahan in six volumes. In the year 1374 A.H. a tract about this hadith was published by the Darut Taqrib Foundation (Egypt). Its importance from the viewpoint of authorities and the esteem shown to it by the traditionalists in different eras of Islamic history have been quoted in it briefly. 737. Tabaqat-i Kubra, vol. II, page 238. 738. Tabaqat, vol. II, page 236. 739. Manaqib-i Al-i Abi Talib. vol. I. page 164. 740. Furthermore, as the Prophet did not hit Sawadah’s body intentionally he had no right to take revenge, but the act could be compensated by payment of ‘diya’ money (prescribed compensation). In spite of this the Prophet decided to meet his demand. Are you happy with our work?